Live at Cave 12, the 4th of november 2015.Photo by Moju. 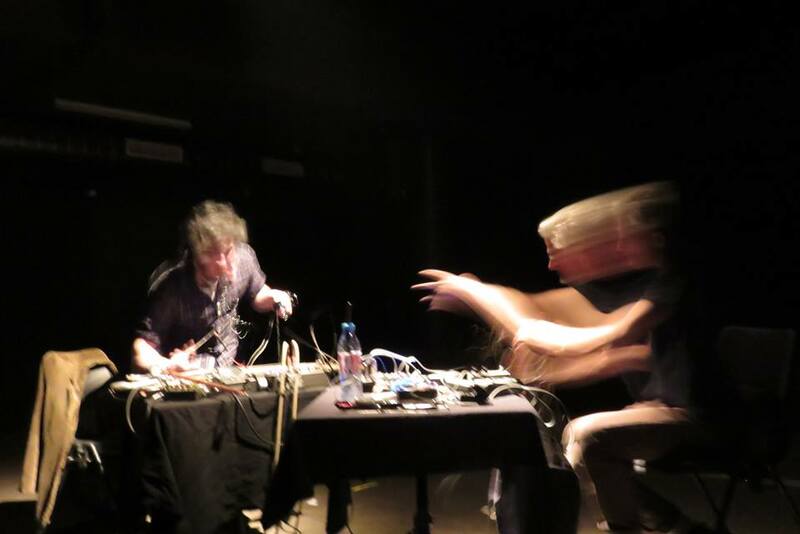 Olivier DiPlacido (France) and Crank Sturgeon (USA) form a transatlantic partnership by merging their individualized practices in experimental sound and improvisation. Using a motley array of guitar pickups, found objects, and voice, the duo’s approach is both surgically precise yet unbridled and involuntary. The effect is not unlike a ferris wheel loosened from its hinges: ensnaring the listener in a tumbling motorcade of hiccups, shortwave frequencies, and primordial noise. 07.11 Dans Le Désordre mini-Festival @ Les Instants Chavirés, Paris (FR).